This is probably the most honest and comprehensive Bitcoins was club review that you have ever or will ever read. Before we run into details, I would like to mention that I have reviewed more than 450 make money online opportunities, programs, tools, and trainings. My eyes has been "trained" to spot an online scam very easily. In this article, I am going to answer you the most important question, "is Bitcoins with club a scam or legitimate money-making opportunity?" Read further only if you are ready to hear my honest opinion of this program. is Bitcoins Wealth Club Recommended? No. If you are looking for honest and legitimate ways to make money online, click the button below to see my #1 recommendation or grab my free 4-step formula for making money online. See My #1 Recommendation to Make Money Online! Before you dive into my Bitcoins Wealth Club article, I want to give you an opportunity to have a look at my video review below. I am 100% sure you will find it helpful and valuable. Do not hesitate to ask in the comments below this article if you have any questions. What Is Bitcoins Wealth Club? 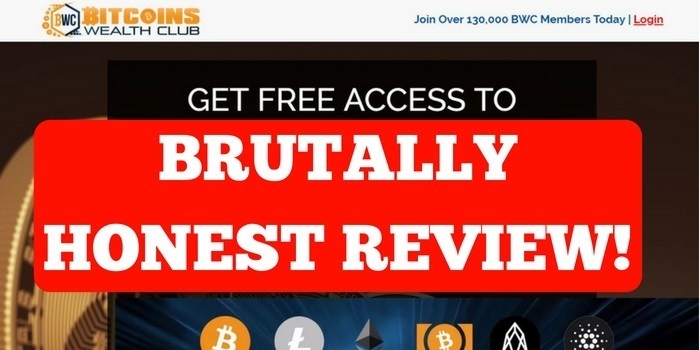 Bitcoins Wealth Club is advertising themselves as an cryptocurrency education company. On some of their advertisements they are promising you 0.3 BTC per day. If you convert that to the current price of Bitcoin, it means that you would make thousands of dollars every single day. But that is only the beginning. There are several promoters of Bitcoins Wealth Club that are boasting with their income proofs and asking you to join their program as well. Based on my research, "education packages" are only a façade that are trying to hide the real nature of the program. In my opinion, Bitcoins wealth club has several characteristics of a Ponzi scheme. Of course, nobody can say for 100% sure whether it's a Ponzi scheme or not until it collapses. But we can evaluate all the signs that are visible to us. I think those signs will tell you if you should join this program or not. Now let's have a closer look at the details of the Bitcoins wealth club program. How Does Bitcoins Wealth Club Work? You can get started with Bitcoins Wealth Club for completely free. That's how they lure more members into their system. Then they are talking about huge returns on investments. Some sources say that you could make even five times more money than you have invested. Anybody who knows about investing, knows that such returns are usual. It's also impossible to promise such returns. The idea with Bitcoins Wealth Club is that you would sewing the program and start climbing there pyramid ladder. They offer you different "training modules" that are supposed to teach you something about cryptocurrencies. Even though joining the program is free these modules are not free. If you want to go through the whole program, you may end up paying way more money than you have initially planned. Why Are Some People Promoting Bitcoins Wealth Club? You may have seen some YouTube videos, blog posts or social media posts where some Bitcoins Wealth Club members are trying to get you into their system. What is their incentive? Why are they doing it? Bitcoins Wealth Club is also a multilevel marketing program which means that members earn money when more people join the system and buy their products. Therefore, they had a huge financial incentive to get you inside their program. You may have probably heard of other Ponzi schemes in the cryptocurrency space. The most famous one was Bitconnect at the beginning of 2018. There were many famous YouTubers who are promoting Bitconnect before it collapsed. Now most of them are gone and promote there is of other Ponzi schemes have appeared. Many Ponzi schemes within the cryptocurrency space work with the same idea: they sell you an educational products and you money by inviting more people into the system. You quickly understand that "education" is not the main purpose of the system. The main purpose of that kind of programs is to recruit as many people as possible to your downline so you would make money. I am afraid that Bitcoins Wealth Club is one of those programs. I have seen hundreds of make money online programs, opportunities and trainings. Most of them are completely legitimate and they are genuinely helping you to make money online. However, there have also been scams and I see that Bitcoins Wealth Club has also several scam signs. Of course, I cannot say with 100% clarity if it's a scam until it finally collapses. But I can give you the reasons why I haven't joined this program and why I cannot recommend it for you either. 1.What Is the Real "Product" of the System? Bitcoins Wealth Club sells themselves as an educational program on platform but when you join the program you start noticing that they are talking about recruiting more people. This is where things start to become a bit shady. Educational products are completely fine but there have been hundreds of online scams where an informational product has only been a facade to hide the real nature of the system. Things start to become even more "interesting" when you see that they are sending you packages, different levels and incentives for recruiting more people and climbing up in the pyramid. Somebody could ask if this program is really trying to provide some value or are they only trying to get as many people as possible that there multilevel marketing system. Are they only building pyramid scheme where you make money by inviting people to your downline? It's not a very good sign of the program that most people are claiming it's a scam. In most cases, it means that it's a scam. Of course, there are some exceptions to this rule but I still think that this is one important thing to consider. If experienced online entrepreneurs warn you about something, you should be very careful. Based on my experiences and researches most people who fall in the online scams are those who don't have much experience of making money online so they do get easily lured into the system. It might sound exciting to a 0.3 Bitcoin per day but that is not possible without huge financial investments or large former experience. If you go to Bitcoins Wealth Club homepage, you see that they are saying, "We have already +135,000 members and counting." However, when you take a look at all their social media channels you see almost nobody. They had a Facebook page with around 7000 likes at the moment but almost nobody's interacting there. So where are those 135,000 people? Do you know what are the main characteristics of pyramid schemes? They usually don't have any real products and they only rely on recruiting more people to the program. Your goal within pyramid schemes is to rise to the top of the pyramid to make money from your downline. New investors fund the whole system. All the rewards are paid for the old investors from the new investors. When new people stop coming to the system the pyramid collapses. If the program doesn't have real products that provide value, it will eventually collapse. A pyramid scheme can go on for years, and in some rare situations even tens of years, but all of them will collapse sooner or later. 5. "If It Walks Like a Duck, Looks Like a Duck..."
Have you ever heard of for duck test. If something walks like a duck, looks like a duck and sounds like a duck it probably is a duck. We can also apply the same principle to online scams. If it looks like a scam, everybody says it's a scam, it is all characteristics of a scam it probably is a scam. I have seen many programs collapsing over the years and almost always my predictions have been right. Usually, members of a pyramid scheme tried to defend their program as long as possible to make more money before it falls but it will not prevent the fact that eventually every pyramid scheme with fall. My personal recommendation is that you should always stay away from shady programs and "opportunities". If you want to learn a legitimate way to make a living online, just click the link below and I will help you hand by hand until you succeed. Tired of Scams? Learn a Legitimate 4-Step Formula to Make Money Online! If you have been following my blog or my YouTube channel, you have probably noticed that I am a big believer in the future of cryptocurrency's. I believe that in the future we will be able to pay our bills with cryptocurrencies, shop in the supermarket with Bitcoin (actually it is already possible in many places) and receive our salary in Ethereum (actually I already receive a part of my income in the form of cryptocurrencies). That being said, we need to remember the difference between Bitcoin and shady programs like Bitcoins Wealth Club. Bitcoin is the decentralized system that is run by thousands of computers all around the world. It provides real value like the Internet but many Ponzi schemes within the cryptocurrency space out trying to make their founders rich. That is why is it always make your own research before you put your money into something. Ask somebody who has more experience with cryptocurrencies or making money online. You can always ask me in the comments below and I will be sure to reply to you personally. My desire is that nobody would fall into scams anymore. Feel free also to grab my cryptocurrency course for just $10 on Udemy if you want to learn more about making money legitimately with cryptocurrencies. As I explained before, there are numerous legitimate ways to make a living online. I make myself a full-time income on the Internet and I know tens of online entrepreneurs personally. You have many options to get started with making money online because the Internet is really the big land of opportunities. There are probably thousands of different ways to make a living online. However, for beginners everything may seem a little bit confusing. That's completely normal and it's the same for everybody. I started once is a complete beginner. I didn't have any contacts and I didn't know anybody make money online. But I started my search, found an opportunity, learned the skills and nowadays I have a freedom to travel around the world while making money online. If you would like to see the same lifestyle I have, I would be more than happy to help you out. I enjoy seeing people achieving their dreams and leaving their full potential. I was once a beginner and I have made many mistakes along the way so I perfectly know how it feels at the beginning. Now I am sharing my knowledge and helping people all around the world to make money online. If you want to learn more, just click the button below to get started. Don't worry I will answer all your questions personally and provide you lots of personal tips to more forward and succeed. Let Me Help You To Make Money Online. Click Here to Get Started! ​What kind of experiences do you have with Bitcoins Wealth Club and other similar systems? Would you like to have my personal guidance to make money online legitimately? "What is Bitcoin Cash? Is Bitcoin Cash a good investment? Is Bitcoin Cash worth buying in 2018 (and beyond)? Bitcoin Cash vs Bitcoin - Which one is better?" And other crucial questions. I am 100% sure that you will find my article helpful and valuable. If you need any further help, you can always ask me in the comments below and I will be more than happy to help you out. Summary: Bitcoin Cash was supposed to be a better version compared to Bitcoin. However, there was a lot of controversy during the whole Bitcoin fork. Most people in the cryptocurrency community believe that Bitcoin will thrive and Bitcoin Cash was mainly supposed to make a few people extremely rich. Is Bitcoin Cash Recommended? I haven't personally invested much money on Bitcoin Cash. I don't recommend it to other people either. Put your money into Bitcoin or other cryptocurrencies. Get $10 Worth of Free Bitcoin Here! See my #1 recommended cryptocurrency exchange here. NOTE: If you came here because you are looking for the best ways to make money online, I recommend following this step-by-step training guide. 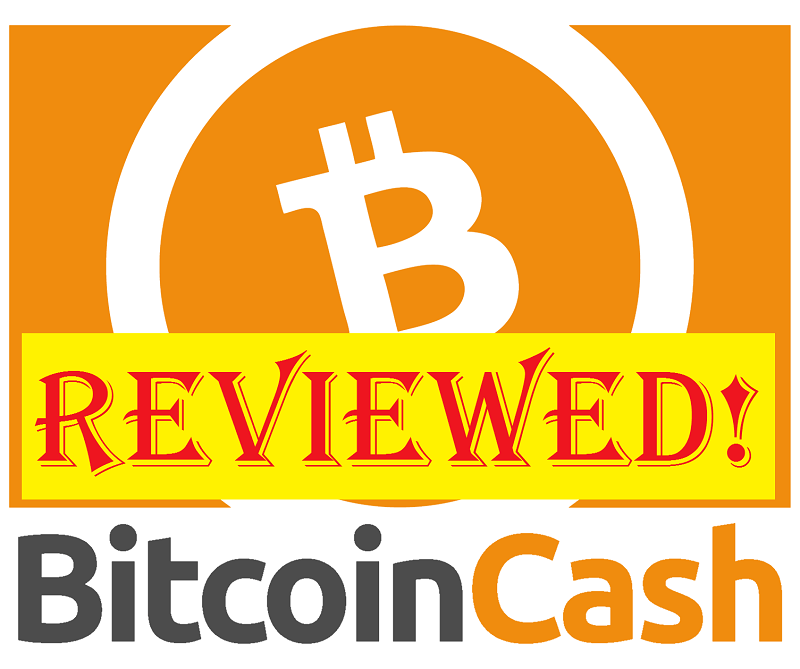 Before you dive into my article below, I want to give you an opportunity take a look at my Bitcoin Cash video review below. If you are interested in making more money with cryptocurrencies, don't forget to subscribe to my YouTube channel for more videos in the future. You probably already know Bitcoin. It's the first cryptocurrency in the world that was created back in 2009. Since then the market cap of Bitcoin has grew into hundreds of billions of dollars and more than 1,600 other cryptocurrencies were created. One of the biggest cryptocurrencies is called Bitcoin Cash. Bitcoin Cash was launched in the Autumn of 2017 with so-called Bitcoin fork. It means that everyone who owned Bitcoin back then, received also Bitcoin cash cryptocurrencies for free. If you owned 1 BTC (Bitcoin), you got 1 BCH (Bitcoin Cash). If you owned 5 BTC, you received 5 BCH. If you owned 4,123 BTC, you received 4,123 BCH. However, real "Bitcoin believers" heavily criticized Bitcoin Cash and said that it was just Roger Ver's strategy to make himself tons of money. Roger Ver has been one of the biggest influencers in the cryptocurrency space for years. In this article, I don't want to go into the technical details of the Bitcoin Cash because most of my readers prefer explanations using layman's terms. is decentralized. The network is spread out all over the world in different locations. However, there has been a debate whether it's truly decentralized or not. More on this later..
is a peer-to-peer cryptocurrency. Anyone can send BCH to any person anywhere in the world without a middleman like bank. is secure. BCH uses a strong encryption and it's pretty much impossible to hack. uses blockchain. All transactions are logged to a public ledger called blockchain. At this point you could easily say, "Well, all those 4 elements apply to Bitcoin as well" and you would be completely right. However, there are also several crucial differences between Bitcoin and Bitcoin Cash that I am going to explain you in the next chapter. Some "true Bitcoin believers" almost hate Bitcoin Cash. In this and the following chapters you will find out why. But before that, let me explain the reason why some people think that Bitcoin Cash is better than BTC. A main difference between Bitcoin and Bitcoin Cash is that the block size was raised from Bitcoin's 1MB to 8MB. The purpose of this change was to try to lower the transaction fees and make transactions faster. In many cases BCH transactions have been faster and cheaper than with Bitcoin but that's not the whole story. There has been so much controversy around BCH that I couldn't include everything in this article. Bitcoin Cash and Roger Ver has numerous times been attacked for several reasons regarding to Bitcoin Cash. Let me explain more details in the following chapters. Roger Ver has without a huge influence within the cryptocurrency space. He has thousands, if not millions of followers on different media channels over the Internet, television and newspapers. Some people call him "Bitcoin Jesus" while other claim him to be a "Bitcoin betrayer". In addition, he may face soon a lawsuit because of the controversial propagation of Bitcoin Cash. He has been pumping the price of Bitcoin Cash in all possible media channels. There was also some controversy when Bitcoin Cash was added to Coinbase. The price jumped to the sky right away after it was added and most likely Roger Ver and other "inner circle" made big money. Ver and his companions have created propaganda showing the superiority of Bitcoin Cash using controversial methods. This has lead some people to buying Bitcoin Cash when they were actually planning to buy Bitcoin. Tired of Market Manipulation? Learn a PROVEN Way to make Money Online! Is Bitcoin Cash Really Decentralized? In 2017 the research showed that 92% of the Bitcoin Cash mining was operated by 2 major mining farms. In the other words, 2 miners controlled the whole action within Bitcoin Cash. Some rumors said that even those 2 mining farms were owned by the same people. I don't know what is the truth there but it doesn't sound very good compared to Bitcoin where mining is more decentralized. I wouldn't be too surprised if Roger Ver and his "army" would control the whole Bitcoin Cash mining business. In the Autumn of 2017, the founders leaders of a highly popular website Bitcoin.com announced something like, "Bitcoin is not good anymore. We are going to sell our Bitcoins now!" That of course enticed many people to read the articles because they knew that before the same website had been promoting Bitcoin very strongly. If you read the articles, you quickly found out that the whole purpose was just to pump up the price of Bitcoin Cash. They said Bitcoin is not good anymore and now it's time to buy Bitcoin Cash. Bitcoin.com is still a place that highly promotes Bitcoin Cash. It also provides information on Bitcoin because of the public demand but the founders are really more into Bitcoin Cash than BTC. Where Can I Use Bitcoin Cash? One of the downsides of Bitcoin Cash compared to Bitcoin is that you can't yet use it very widely. Bitcoin hasn't been adopted by masses yet either but you can already use it in way more places than BCH. Hundreds and thousands of companies all over the world would accept payments with Bitcoin but only a few accept Bitcoin Cash. Even though that may not feel like a big issue at the moment, you must take that into consideration. The more people use Bitcoin, the stronger the networking effect will be. A friend recommend BTC to his friend. That recommend it to another. And so on. The network will grow fast like a social media site like Facebook. Any social media site wouldn't be valuable unless a strong networking effect. People naturally think, "If other people are using Facebook, I need to use it as well." Even though Bitcoin is far from being a social media site, the same effect still applies. Lots of users bring even more users. While Bitcoin Cash has only a few users and it will not grow so fast. Is Bitcoin Cash Worth Buying? As I explained at the beginning of this post, I don't personally own much Bitcoin Cash. I received some Bitcoin Cash during the fork in 2017 because I owned Bitcoin but since then I have sold almost all of my BCH to other cryptocurrencies. There has been so much controversy around BCH that it doesn't feel like a legitimate investment. My prediction is that over the time course it will die away. Not completely but at least go lower from the current price. 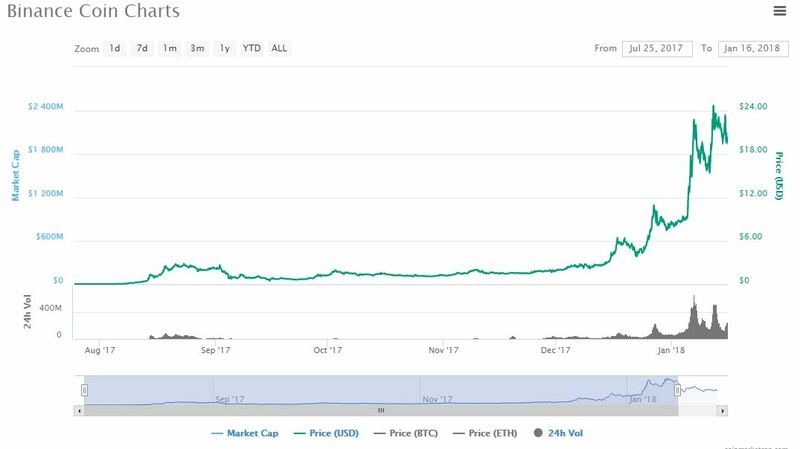 The peak of Bitcoin Cash was in December 2017 when the price of one coin was over $4,000 and the market cap was around $70 billion. Since then it has been going down along the whole cryptocurrency market. If you still decide to buy Bitcoin Cash, you can do so on Coinbase or on Binance. My #1 recommended cryptocurrency exchange is certainly Binance because you can buy and sell there for only 0,05% which is probably the lowest in the whole industry. In addition, it's the biggest cryptocurrency exchange by the trading volume. Conclusion - Which Cryptocurrency Should You Buy? I don't want to give individual recommendations in this article but let me give you a few guidelines. If you are looking for the biggest gains, you would probably want to invest cryptocurrencies with a smaller market cap like BitDegree, Medicalchain or carVertical. However, you need to consider that even though they can provide big gains for investors, there is also a huge risk of losing money. Such smaller cap tokens are not decentralized like Bitcoin so you are pretty much relying on the company that is running the show. Another option is to invest in the mid-cap cryptocurrencies like Binance Coin or Kucoin Shares. Investing in their cryptocurrencies will pay you dividends based on the fees that users pay on their cryptocurrency exchange platforms. The "safest" option is to invest in cryptocurrencies with a bigger market cap like Bitcoin, Ethereum or Litecoin. I personally believe that those 3 coins will have a good future and their market cap will keep on rising over the years. I also strongly believe in the mass adoption of cryptocurrencies. I have explained the reasons in my other articles and YouTube videos. If you want to learn to make money with cryptocurrencies, you can grab my course on Udemy for just $10. That being said, cryptcourrency market is still very volatile and it contains risks. If you are looking for more secure and proven ways to make money online, I recommend having a look at the step-by-step training below. ​What do you think about Bitcoin Cash? Do you prefer Bitcoin or Bitcoin Cash? What cryptocurrency will give the best returns in 2018, 2019 and the coming years, in your opinion? Disclaimer: This article is not a financial investment. You should only treat it as information and entertainment. Are you looking for the best cryptocurrency exchange sites? I have tried personally more than 10 cryptocurrency exchanges and I have invested in cryptocurrencies since 2015. I decided to create you a very comprehensive analysis of the best cryptocurrency exchange platforms to provide you the best information. I am going to present you 13 different sites and give you a word of warning of sites that you shouldn't use. I have written comprehensive +1,500-word reviews of each of these sites and uploaded videos on YouTube as well to provide you even more information. I am 100% sure that you will find what you are looking for here. Without further ado, let me show you the best cryptocurrency exchange platforms! Sign Up to My #1 Recommended Exchange! Cryptocurrency exchange is a place where you can buy, sell and trade cryptocurrencies with other people. On some exchanges you can buy cryptocurrencies using fiat currencies like euro, dollar or pound while other support trading solely for cryptocurrencies. Technically, cryptocurrency exchanges also serve as banks because you can store money there as well. However, it contains some risks that I will explain you in the end of this article. The price of the cryptocurrency on each exchange is defined on based on the demand and supply. If people are, for example, willing to sell a Bitcoin for $10,000 per each coin, then the price is $10,000. On bigger exchanges the price is usually better prices so that's one reason to go there. In addition, the fees tend to be smallest in the biggest exchanges as well. Coinbase is probably the most famous and certainly one of the most influential cryptocurrency exchanges in the world. One (but not the only one) of the reasons for Coinbase's success is their referral program. Everybody who joins Coinbase through a referral link gets immediately a $10 sign up bonus for the first $100 deposit. In addition, the person who invited you to Coinbase, gets also free $10. You can also get a $10 bonus through my link. At the same time you support my blog because I get a $1o bonus for inviting you to Coinbase. I have invited around 15 friends to Coinbase. I and my friends, all of us, had positive experiences of Coinbase. I haven't heard of anything negative when I have discussed about Coinbase with my friends. The only downside are relatively high fees. However, I don't mind paying a little bit extra if I know that the service is reliable. More than $50 billion exchanged and +10M customers served on Coinbase (April 2018). They provide a $10 sign up bonus for all new users. You can buy Bitcoin, Ethereum, Litecoin and Bitcoin Cash by using your credit card. Coinbase allows trading with fiat currencies (euro, dollar, pound, etc.). Coinbase is very secure and trusted crypto exchange. Extremely easy-to-use platform (most cryptocurrency investors start out with Coinbase). Fees on Coinbase are relatively high. 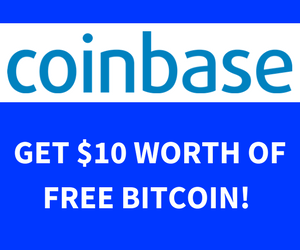 Get Your $10 Bonus on Coinbase! => Read My Comprehensive Coinbase Review Here! Binance is a real success story. They suddenly became the biggest crypto exchange in the world. Nobody would have expected such a fast rise from a new Chinese company. Nowadays they are considered as one of the most reliable and strongest players in the crypto world. The Binance CEO has been active on media, he has been on the cover of the Forbes magazine and he has given numerous interviews. One of the great benefits of Binance is that it's very easy to get started on their platform. You don't need to send them passports, bank statements or other documents for the verification. The same applies to Kucoin which is the next one that I am going to show you. The biggest cryptocurrency exchange in the world by the trading volume (High liquidity). They support trading for numerous different cryptocurrencies. The company is very transparent. The CEO offers interviews regularly. Lowest fees in the industry (only 0,05% per trade). The company is still relatively new even though it's the biggest crypto exchange in the world. Get Started on Binance (My #1 Recommendation)! => Read My Full Binance Review Here! Changelly exchange gets its name from two words: Change Instantly. That's also the idea on what kind of experience Changelly wants to provide for you as their user. They provide you an opportunity to exchange almost any crytpocurrencies instantly. Changelly has a reputation as one of the easiest and the beginner-friendliest cryptocurrency exchange platforms in the whole industry. You can buy more then 60 different cryptocurrencies easily by using your credit card. I don't know any other exchange where you would have currently similar features like on Changelly even though I have tried numerous different exchanges. They support trading for tens of different cryptocurrencies. You can buy numerous cryptocurrencies easily using your credit card. Changelly is a beginner-friendly and easy-to-use exchange. Fees on Changelly are higher than on Binance. => Read My Full Changelly Review Here! On Gate.io you can exchange more than 250 cryptocurrency pairs. Gate.io is another cryptocurrency exchange that supports trading for numerous cryptocurrencies with low fees. I started on Gate.io after Lympo ICO. Back then Lympo wasn't available on almost any other exchanges so I needed to create an account on Gate.io. I wanted to sell some of my earnings that I made by participating the ICO. I quickly realized that Gate.io was a great cryptocurrency exchange. Their platform was user-friendly and I was able to exchange my LYM tokens easily. I deposited LYM tokens to Gate.io, exchanged them into BTC and withdrew my BTC away from Gate.io. That was simple and fast. Since then I have noticed that many other people have also had positive experiences of Gate.io and that's why I can recommend it to you as well. Gate.io supports trading for hundreds of cryptocurrencies (Even for smaller ones like LYM). Their platform is easy-to-use. I got started without watching a single tutorial. It is a fast-growing and a reliable exchange. Fees are a bit higher than on Binance even though they are still competitive on Gate.io. => Read My Full Gate.io Review Here! 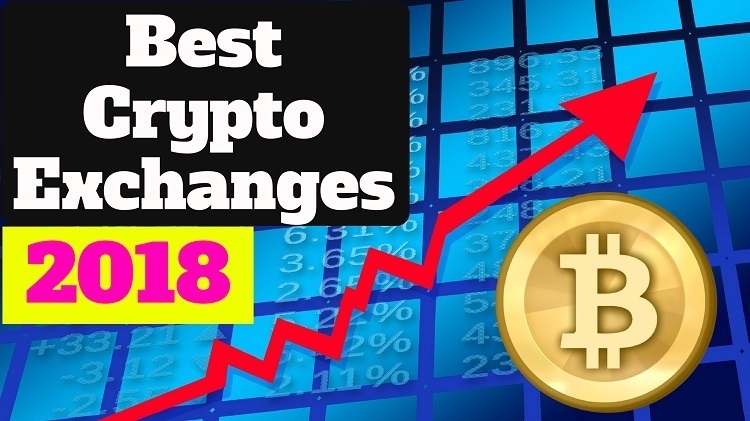 Cryptopia is probably one of the most controversial cryptocurrency exchanges on this list. It's based in New Zealand and founded in 2014. The biggest benefits of Cryptopia is that they provide trading for hundreds of different cryptocurrencies. I have personally bought Luxcoin on their exchange which isn't available on bigger exchanges like Binance. I never had any problems with Cryptopia but I must admit that I have read a few negative reviews on the Internet. => Read My Full Cryptopia Review! Coinmama is quite similar cryptocurrency exchange compared to Coinbase and Gemini. They provide trading and buying for Bitcoin and Ethereum but not for other cryptocurrencies. In addition, it seems to be targeted mainly to the US audience who want just an easy way to get started with cryptocurrencies. In the other words, if you are looking for an opportunity to make big gains with small cap coins, Coinmama isn't enough for you. You can of course buy Bitcoin on Coinmama and transfer it to another exchange where small cap coins are available. Surprisingly, Coinmama is one of the oldest exchanges in our list because it has been founded already back in 2013. Coinmama is also recommended by some big cryptocurrency influencers who have even more than 100k subscribers on YouTube. Coinmama is available in 188 countries. The company has operated already more than 5 years since 2013. Competitive fees (even though for credit card purchases they are a bit higher). Recommended by big cryptocurrency influencers. It doesn't support other cryptocurrencies than Bitcoin and Ethereum. Buy Bitcoin or Ethereum on Coinmama! => Read My Full Coinmama Review Here! Kucoin trading platform is fast, simple and easy-to-use. If Binance was a success story, so was Kucoin as well. It grew extremely fast and has quickly become one of the leading exchanges in the cryptocurrency world. Their exchange works in a similar way like Binance and it is also owned by Chinese people. I started on Kucoin when I wanted to buy more rare alt coins that weren't yet available on the biggest exchanges like Binance. I quickly found out that Kucoin was much better than I had expected. Since then I have used Kucoin for buying/selling many other coins including carVertical, Medicalchain, Kucoin Shares and so on. 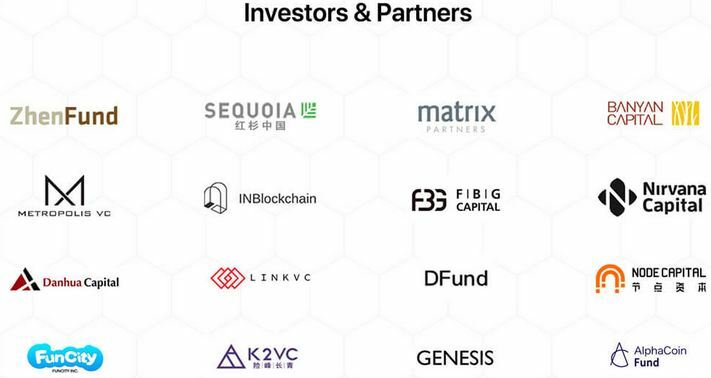 Their platform and business model is very similar to Binance. Kucoin has several promotions regularly and they try to grow aggressively. Support trading for a huge number of cryptocurrencies. Slightly higher fees than on Binance. They don't have a referral program anymore. I think this will affect its success partially. 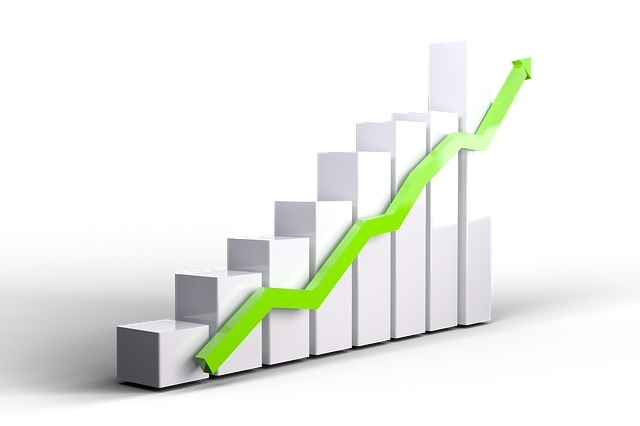 Companies that concentrate on their affiliate programs tend to grow faster. Kraken homepage is very simplistic. When I started with cryptocurrencies in 2015, my friend introduced me to Coinbase and Kraken. I continued using Kraken a lot and for a long time I held almost all of my crypto funds there. I need to admit afterwards that it wasn't wise to hold everything in an exchange but I hadn't studied things in detail back then. Now I have allocated my funds into numerous places and to a hardware wallet to minimize the risk. Fortunately, Kraken support provided me a way to get my funds back again. At some stages, Kraken exchange was extremely slow and it took like 15 minutes to just to make a single trade. However, they had a huge update in January 2018 which fixed the problems. Since then their website has worked well and I can also recommend it to you. The biggest Bitcoin-Euro-Bitcoin crypto exchange. Responsive support team that has answered all my questions over the years. They support also trading with fiat currencies (euro, dollar). Their website and platform was significantly improved at the beginning of 2018. Kraken doesn't provide charts, only the numbers for trading which may make it a bit challenging. Kraken doesn't have a referral/affiliate program which has been probably holding back their potential growth. Bitfinex is one of the oldest cryptocurrency exchanges because it has operated since 2012. Bitfinex is one of the biggest and oldest cryptocurrency exchanges in the world. It was founded already 6 years ago back in 2012. They have had some challenges along the way because there was a huge hack back in 2016. Lots of funds were stolen from Bitfinex. But the company recovered well from the hack and returned all the funds for their users. They didn't return potential losses or profits but all the money that were stolen in dollars. I tried to get started on Bitfinex at the end of 2017. However, after a half a year later I am still waiting for the verification process to be finished. I have submitted all the documents to their platform and followed all the instructions. But nothing happens. They say that normally verification takes like 6-8 weeks but for me it has taken already ~6 months. Another thing that has annoyed small traders is that Bitfinex has often certain limits that you need to deposit at least $10,000 or something similar to get stated. For those reasons (primarily the fact that you can't get verified and start trading) Bitfinex isn't fully recommended at the moment. It was once one of the best exchanges but, in my opinion, their quality has significantly gone down. => Read My Full Bitfinex Review Here! Gemini is probably the most well-known for its founders, Cameron and Tyler Winklevoss. They are the guys who first became famous for suing Mark Zuckerberg for stealing their idea with Facebook. Afterwards, they have competed in the Olympic games and became even more famous by starting to invest in Bitcoin in the early stages. Since then they have become Bitcoin billionaires because of the huge price growth of Bitcoin. Many news channels and TV hosts have interviewed them in their shows. Winklevoss twins have decided to create a Bitcoin exchange where you can buy, sell and exchange Bitcoin and Ethereum. Gemini doesn't yet support other cryptocurrencies. It seems that the goal of Gemini is to provide an easy way for the US people to buy Bitcoin or Ethereum. The daily trading volume of Gemini is surprisingly good so they can also offer a competitive price. That being said, Gemini isn't my #1 recommendation because they only provide 2 cryptocurrencies at the moment. Gemini has a good reputation as a reliable cryptocurrency exchange. Low trading fee between Bitcoin and Ethereum (0,2%). Possible to buy Bitcoin and Ethereum with your credit card. ​Supports trading for only Bitcoin and Ethereum. Mainly targeted for the US people. => Read My Full Gemini Review Here! 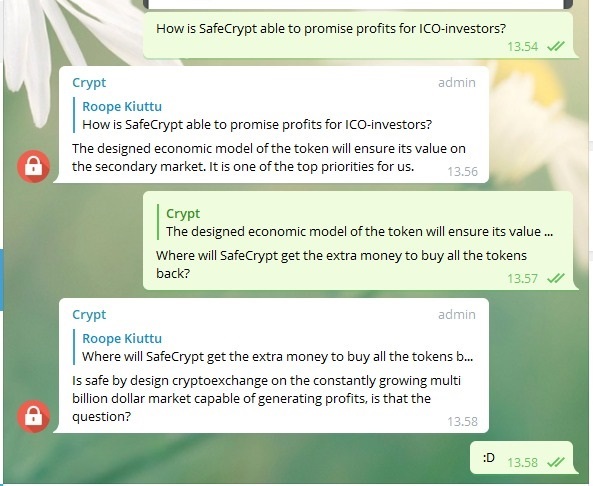 I took this screenshot while SafeCrypt ICO. (Click the picture to read my full review of SafeCrypt. SafeCrypt is one of the most promising cryptocurrency exchanges for the future. Their exchange is "bullet-proof" by nature because of the technology that they use. I wanted to include this to the list as one of the rising opportunities. It also gives you an idea of cryptocurrency exchanges that provide their own coins/tokens that pay dividends for their holders. Some other exchanges including Binance and Kucoin have their own cryptocurrency (Binance Coin and Kucoin Shares) that give benefits for token holders. You will earn a certain part of the company's revenue and on Binance you'll pay lower fees by holding BNB. SafeCrypt cryptocurrency has still a huge potential for growth in value because the project is relatively new. They aim to solve a massive problem in the cryptocurrency exchange industry which is safety. SafeCrypt has a very experienced team in the cryptocurrency space. They are also responsive and constantly answer messages on Telegram. The exchange and the project has still some risks because it's in the early stages. 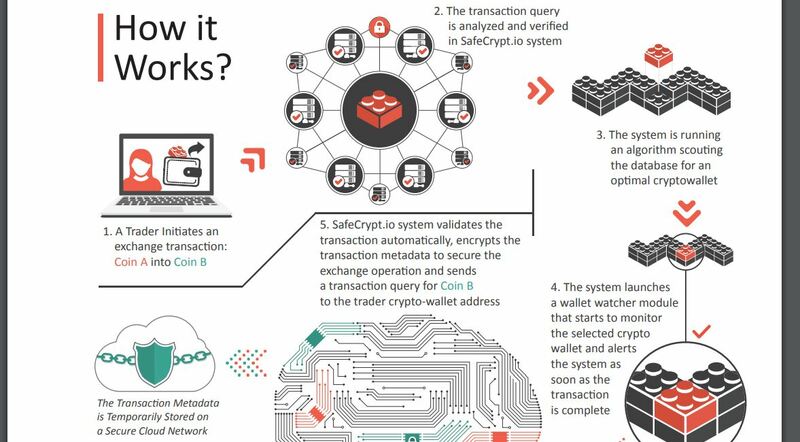 ​=> Read My Full SafeCrypt Review Here! LocalBitcoins connects you with local buyers/sellers and makes the trade securely. Believe it or not but LocalBitcoins is almost the oldest company in our list of the best crypto exchanges. It was founded back in 2012 which is more than 6 years ago. LocalBitcoins is a Finnish company that serves in 248 different countries all over the world. One of my best friends was working for a good while in this company and he said it's probably the best company where he has ever worked. With LocalBitcoins you can find people who would locally exchange Bitcoins with you. So, you can meet somebody who is living nearby and exchange Bitcoins with him/her. It's something very unique because I haven't found similar features on other exchanges. It's worth noting that LocalBitcoins has also been ranked among the best exchanges on BestBitcoinExchange.io. This Finnish company is very reliable and they have been operating since 2012. 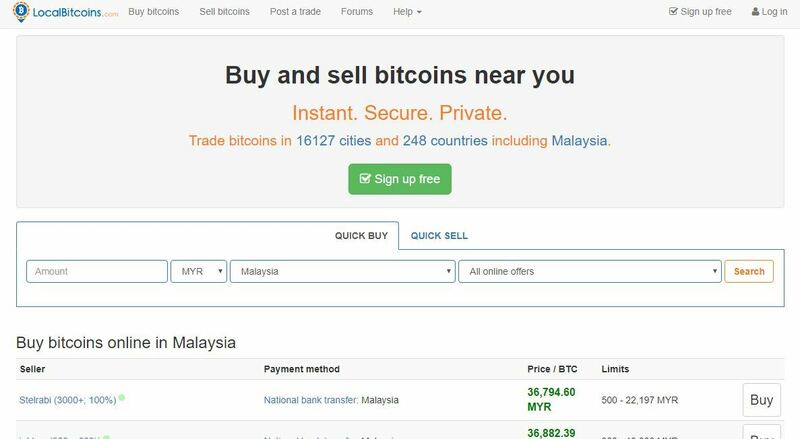 You can trade Bitcoins with local buyers/sellers in real life. 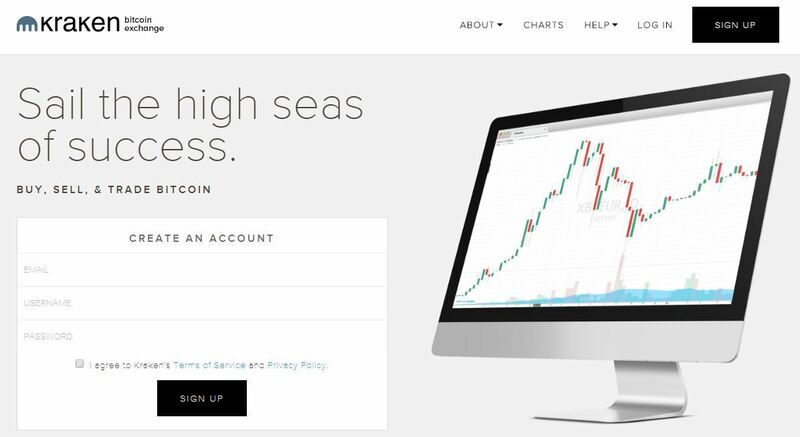 It has been ranked among the best Bitcoin exchanges for several years. 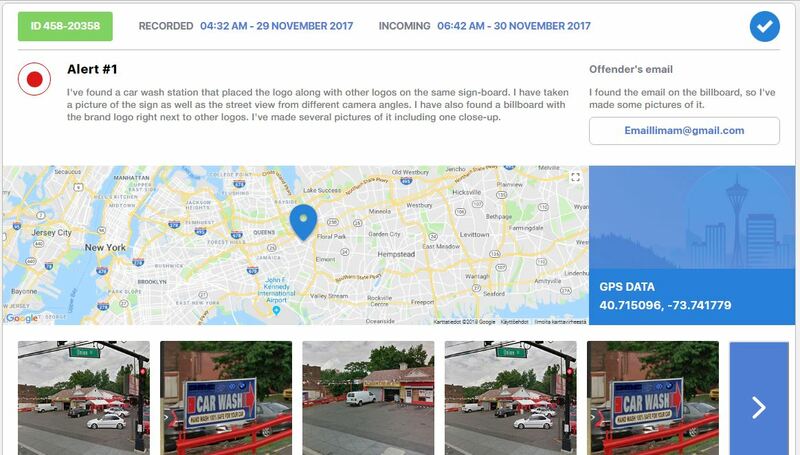 Some complaints can be found online so you need to be careful when trading with people locally. Their customer support is working actively to fix all issues. => Read My Full LocalBitcoins Review Here! Bittrex is one of the major cryptocurrency exchanges. However, I haven't personally used it because their waiting times for the verification are often so long.In addition, Binance has lower fees and is superior compared to Bittrex in many other ways as well. That being said, Bittrex is still a good crypto exchange because their trading fees are only 0,2% per trade and the liquidity is quite good as well. Now because so many people have been rushing to the cryptocurrency world, the support of Bittrex hasn't always been able to handle the load. That's why they have occasionally closed the registration from new members. My friend recently got started on Bittrex after a few weeks of waiting. Still, Binance provides lower fees, trading for a bigger number cryptocurrencies, faster verification process and other benefits. That being said, Bittrex is still a reliable cryptocurrency exchange and they are providing value to the cryptocurrency industry. Their fees are competitive and smaller than on some other exchanges on this list. Bittrex is also the biggest exchange in the world for some individual cryptocurrencies. Reliable exchange from the US. One of the biggest crypto exchange in the world (good liquidity). Competitive fees (0,2% in all trades). => Read My Full Bittrex Review Here! What to Crypto Exchange Should You Avoid? I know that many people have been trading alt coins on Poloniex. It has been relatively popular but I think it's losing many customers for several reasons. I have seen numerous negative reviews where people posted their bad experiences with Poloniex. Funds have been frozen or even disappeared in some instances. In addition, everybody knows that it's pretty much impossible to reach Poloniex support. When I tried to register to Poloniex, I tried to submit my passport and bank statement 3 times but it didn't work. Then it just gave an error. When I contacted Poloniex support, I didn't get any answer. In the other words, I was unable to register there at all. I recommend avoiding Poloniex crypto exchange! Actually, I was happy for that because I knew about their bad reputation. Since then many people have shared their negative experiences with Poloniex under my YouTube video. Some people have been in panic because they have mysteriously lost their money on Poloniex and the support didn't answer. Read customer reviews before starting. Try it out with a small amount first. Ask yourself, "How many people are already using this exchange? Has it operated for a long time?" What kind of fees do they have? The lower, the better but still reliability is the #1 factor. A Word of Warning Regarding Cryptocurrency Exchanges! Even though these exchanges that I've listed above are reliable, you always need to remember that holding your cryptocurrencies in your own wallet is often considered to be safer. Crypto exchanges are like banks so you are giving your money to the bank so they hold them. If somebody hacks the exchange or the company somehow goes to bankruptcy, your funds are in risk. On the other hand, there are other risks when holding your funds in a paper- or in a hardware wallet. If you lose your private keys and the hardware wallet, you may be in trouble. That's why I always recommend that you should allocate your cryptocurrencies in many different places. I recommend that you should use hardware, mobile and paper wallets. Andreas Antonopoulus, the most famous person in the cryptocurrency world says that he has never kept his money in an exchange for more than 15 minutes. That may be a good strategy but you should also think how probable is it that a billion dollar crypto exchange would go down. I think that in sometimes the probability of losing your paper wallet is much bigger. If you think that you don't lose the paper, I recommend getting Trezor hardware wallet like I did. See My #1 Recommendation for Storing Cryptocurrencies! Conclusion - What Is the Best Cryptocurrency Exchange Platform? They have the best liquidity because of the huge trading volume. Fast and easy to get started. Currently you can't buy cryptocurrencies on Binance with euros or dollars but it's very easy to transfer them from another exchange. I have created a simple tutorial for you on my comprehensive Binance review. 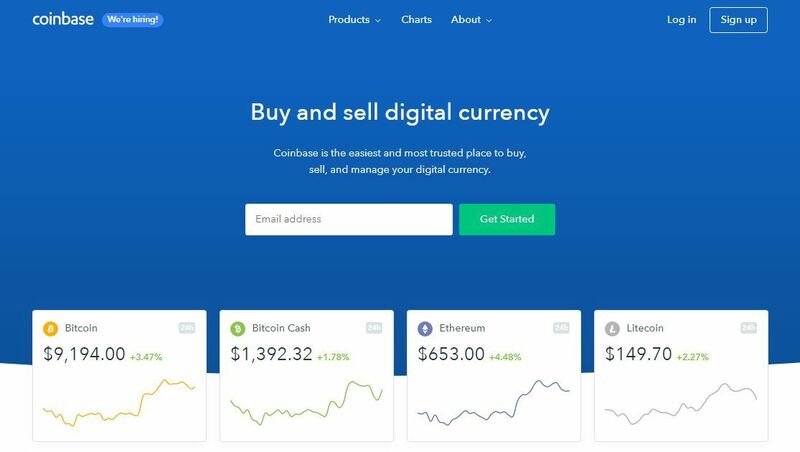 If you want to buy Bitcoin, Ethereum, Litecoin, Bitcoin Cash or just get some funds to get started on Binance, I recommend starting on Coinbase. They provide you a $10 bonus right away when you deposit your first $100. In addition, you can buy cryptocurrencies on Coinbase easily buy using your credit card or bank account. I hope you have found my research of the best cryptocurrencies helpful and valuable. Feel free to share this article on social media to other people as well. Which crypto exchanges do you use? If you have any questions regarding crypto exchanges, cryptocurrencies or making money online in general, ask me below and I'll be happy to help you out. 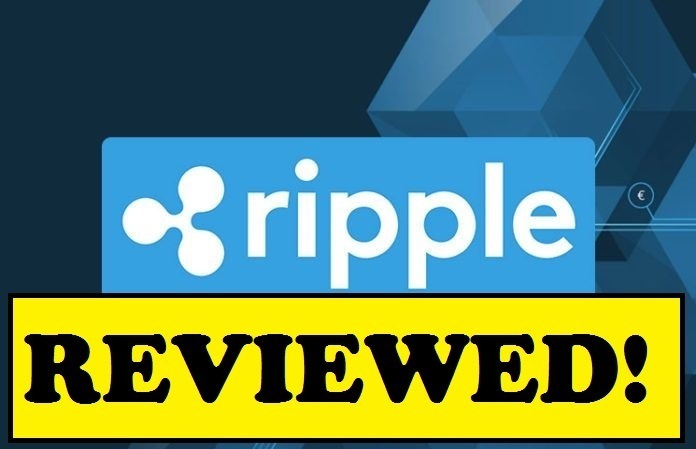 ​Welcome To My Ripple Review! Do you know what happened to me when I started researching Ripple for writing this article? I ended up buying Ripple! I bought Ripple once and in the last week I bought them even more. However, situations of cryptocurrencies change rapidly. The value of Ripple went like 45x higher recently in 3 months. Does it mean that Ripple is 45 times worse investment after that rise? In this article I am going to discuss following subjects, “Is Ripple Worth Buying? Is Ripple a Good Investment? What Is Ripple and How Does It Work?” Are you ready? Spend the next 1-2 minutes with me by reading this article. Founded: In 2009 by Ryan Fugger. Launched in 2012. Summary: Ripple has many benefits compared Bitcoin and Ethereum. Their transactions are way faster and cheaper, for example. On the other hand, Ripple is a centralized cryptocurrency unlike many other ones. Ripple can make you still great profits but it, of course, involves risk. The best way to buy Ripple is on Binance. If you are looking for more ways to make money online, I highly recommend taking a look at this step-by-step training. It has taken me from a complete beginner to making a full-time income from home. Ripple price has recently spiked all the way from ~$0,30 to $0,77 in around 24 hours. I created the following video where I reveal you why it happened and what you can expect from Ripple price in the future. If you have any questions about this, don't hesitate to ask me in the comments and I will be happy to help you out! I noticed that this article has received quite a lot of popularity and hundreds of visitors are regularly reading this article. Therefore, I also decided to record you a YouTube video to answer your questions whether Ripple is worth investing or not. Check it out and enjoy! You have probably heard of Bitcoins. It’s a decentralized digital currency that allows you to make immediate payments so you don’t need to wait 2-3 business days that the money goes from your account to another account. Ripple has many same benefits but it’s also significantly different. Ripple is also a cryptocurrency and a new technology. It means that it’s completely digital. You can understand the difference between dollars and Ripple. You can have dollars in your hands but you can have Ripple only in your bank account. Ripple is a system created for banks to enable immediate payments and lower costs. Imagine if you could make a bank transfer in a few seconds instead of 2-3 business days. That will happen over the time course. Ripple is a centralized currency, unlike Bitcoin. It means that one company owns the system and more than 70% of Ripple. You may think that what if the company just do the infamous, “Pump & dump” -move. It means that they promote their system until the price goes high. Then they sell all of their investments, take the money and leave. However, it won’t happen at least in the near future. They announced that a big part of their Ripple holdings will be locked for 5 years. So, they are not going to dump it during that time. That move will probably take the price higher because there are fewer Ripples available for trade. If there’s lots of something available, the value of it usually goes down. For example, if there is lots of oil available in the world, it’s not valuable. But now when we know that there isn’t infinitely amounts of oil. It affects oil’s price so that it goes up. What Are the Benefits of Ripple Coin? I want to underline the biggest benefits of Ripple compared to “normal currencies” like euro and dollar and compared to cryptocurrencies like Bitcoin and Ethereum. First of all, imagine that you are in the U.S. Then you have a friend, a business partner or a client in Australia. You need to send him dollars quickly. What is the fastest way? The fastest way to transfer dollars from the U.S. to Australia is to take the next plane, fly to Australia and hand the money for your friend. This illustration points out the inefficiency of the current banking system. It’s 50 years old and doesn’t serve us in the best way in the modern world. In many cases, faster payments would hugely help businesses to do things faster. It’s incredibly fast to make transfers and payments with Ripple. (However, it doesn’t take an hour to transfer bitcoins so the picture is a bit misleading in that sense. It wants to point out the superiority of Ripple). One downside of Bitcoin is that it’s possible to make only a limited number of payments during a day with our current technology. However, Ripple enables to make much more trades every day. It makes it’s easily scalable. One of the greatest benefits of Ripple for banks is the price efficiency. On Ripple.com is presented that banks can save millions or even hundreds of millions of dollars each year with Ripple by using this new technology. That’s one reason why so many big banks worldwide have become Ripple partners. Imagine what kind of savings Ripple can provide for huge banks. 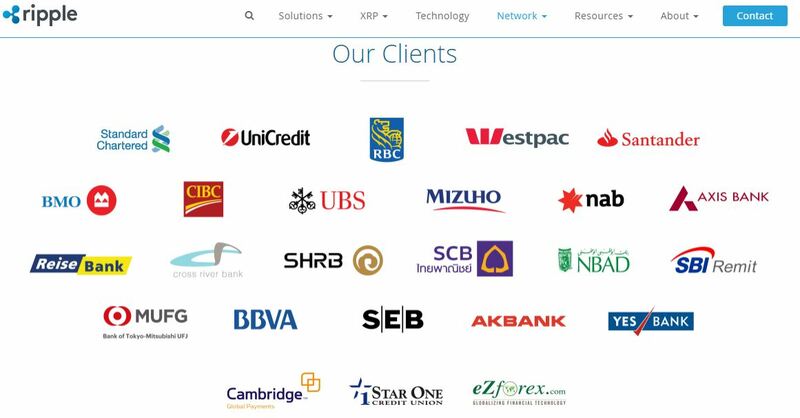 Let’s have a quick look what banks are already using Ripple. The following picture of partner is on their website. There are banks like Santander, UBS, ReiseBank and so on. These are highly remarkable partners. More than 70 big banks have started using Ripple. A large number of them are Japanese banks because there are more than 30 Japanese banks already using Ripple. That’s almost half of all big banks in Japan. Probably the best time to invest in Ripple is already gone. In the beginning of this year, the value of one Ripple coin was only $0,006. That’s not even one cent. You can see how the chart below. The price didn’t change for a relatively long time. But then the jump happened in May. It went from about $0,01 to almost $0,50. Imagine if you would have invested $10k, now you would have $500k! Click the Picture to Learn to Make a Living Online. Many new millionaires have been made during that price jump. 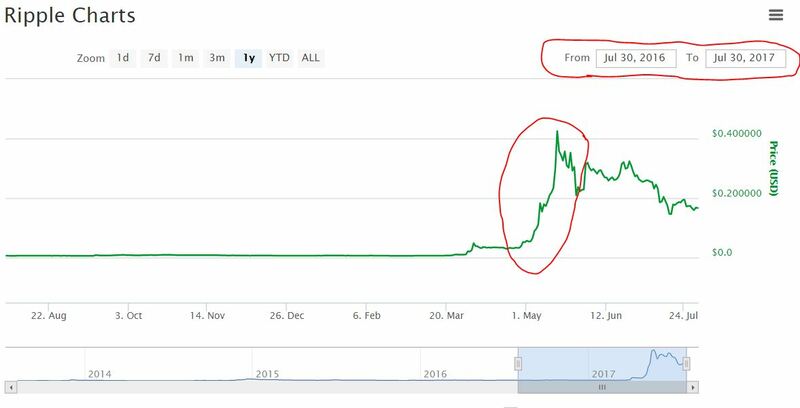 The same jump happened to almost all other cryptocurrencies. They work somehow in the same way like stocks. When stocks in the U.S. go up, the prices also go up in Europe and in China. And when the prices go down in the U.S., all other prices go down as well. Or if Apple, Amazon and other big stocks go down, other ones follow as well. This chart shows the value of a Ripple coin compared to USD. You can notice the huge jump in the beginning of May 2017. Now the value of Ripple has gone under $0,20 and it seems to be going down. But who knows how long it will keep on going down? Many people estimate that the value of Ripple will be $1 or $2 before 2017 ends. Some people may be fooled by the low value of each Ripple coin. They say that Bitcoin is expensive because it costs almost $3,000 per each coin and Ripple is cheap because it costs less than $0,20. However, that’s now wise thinking and it doesn’t take the whole picture into account. You shouldn’t be watching the value of one coin but the value of all coins put together. You can have a look at values of cryptocurrencies on CoinMarketCap.com. Here is a screenshot of current prices today 31.7.2017. The total value of Bitcoin is +$45B while the total value of Ripple is $6,3B at the moment. So, the value of Bitcoin is “only” 7,5 times bigger than Ripple at the moment. Ripple vs Bitcoin – Who Will Win the Race? As we have seen, the situation can change rapidly in the cryptocurrency world. A year is a long time and 5 years is a lifetime of Ripple at the moment. Ripple and Bitcoin serve a very different goal. Bitcoin kinda “fights” against the banking system and their monopoly while Ripple technology is built to help banks. That’s one reason why I wanted to invest in both of those currencies. It’s good for allocation. Another thing that I mentioned above, is that Bitcoin is decentralized so one Institute doesn’t run it but Ripple is centralized. Both systems have their own benefits and downsides. But if the team who runs Ripple is great, then it’s definitely a benefit. I believe that in the long run, both values will still go dramatically up. The story of cryptocurrencies has only started. Why would banks and people want to stay in a 50-year-old system where it takes 2-5 business takes for each transaction. In my opinion, some change will happen for sure. The total market value of all cryptocurrencies is around $90B at the moment. That’s a tiny value compared to other currencies or goods like gold or silver. I don’t see any good reason why it wouldn’t grow in value in the future. You can buy Ripple on several platforms. One of the biggest crypto exchange for people who want to buy Ripple is Binance. I have invested on numerous cryptocurrencies on that platform and I have solely positive experiences with them. I have bought also Tron, Cardano and IOTA on Binance. See My #1 Recommendation For Buying Ripple! I want to give the responsibility for yourself as an investor. If you follow my or other people’s advice, you lower your chances of success. In general, people who follow the masses (sheep) use to lose money with their investments and people who educate themselves and are courageous to make investments that differ from the masses, make big profits. There is a risk with all investing and it applies to cryptocurrencies as well. I can only say that I invested in Ripple because I see there a great potential in the future. I’m quite confident that the price will go up and I’ll earn a good return on investments. However, you should only invest money that you are “ready to lose”. I mean that you shouldn’t only count on cryptocurrencies and you should have other assets and income as well. I have quit my 9 to 5 job recently because I am earning more and more money online each month. Some time ago I found a step-by-step training that taught me how I could make a living online and it seems to work even better than I thought before. Actually, the program has taught thousands of people to make a living online and many of them have been able to quit their normal jobs. It’s 100% free to start the training and you’ll get tons of free resources right off the bat including 20 interactive video lessons, 2 websites, keyword tool, and other tools. That can make you a consistent income for the rest of your life. I think that investing in cryptocurrencies is more like “once in a lifetime” experience while affiliate marketing is a more stable source of income. What do you think about Ripple and cryptocurrencies? Will the value still go up? LanceChain ICO Review: 7 Facts to Consider Before Buying! If you are looking for a comprehensive LanceChain ICO review, you have come to the right place. In this article, I am going to explain you the most important facts about the LanceChain project. This is not a sponsored review and I have just gathered the information because of my own interest towards the project. Type: Cryptocurrency Token. Freelance Work Platform. 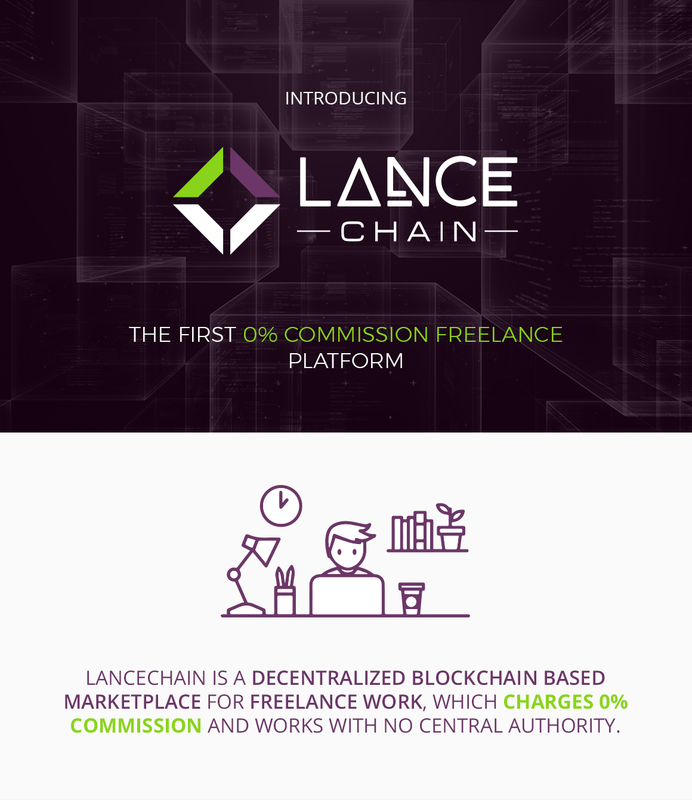 Short Review: LanceChain is a freelance platform with 0% commissions. It takes advantage of the blockchain and the smart contract technology. Token holders will be able to use tokens on the platform (or sell them further with profits). I have participated in the LanceChain ICO for several reasons that I will explain in this review. Is LanceChain a Good Investment? – My Video Review! Before you go through my detailed and a comprehensive LanceChain ICO review, I want to give you an opportunity to take a look at my LanceChain video review on my YouTube channel. 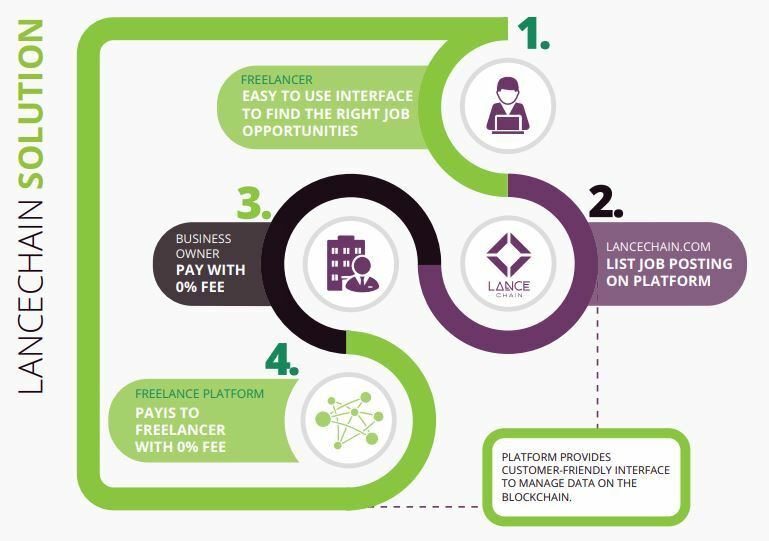 LanceChain is building a freelance platform for project owners and freelancers with a 0% commission fee. This is one of the first blockchain-powered freelance platforms in the human history. If/when the project succeeds, the early investors will make huge profits here. LanceChain project explained in their own words in this picture. If you have been following the freelance market recently, you have probably noticed it has been growing extremely fast. Services like Fiverr, HireWriters, Upwork and hundreds of other services have been growing their popularity year by year. More and more people are working remotely as freelancers. No need to arrange an office for a freelancer. It’s easy to access talents from all different fields. You can also hire freelancers from other countries (and take advantage of salary differences by hiring freelancers from cheaper countries). I am always looking for growing industries to invest because it doesn’t really make sense to go for the ones that would be slowly dying. Therefore, LanceChain is great because freelancing is becoming all the time more and more popular. Freelancing Industry Is Growing Extremely Fast. It Grew 40% from 2016 to 2017 in the US! Annual “Freelancer in America” has predicted that by 2027 the majority of the US workforce will be freelancers. ~50% of the millennials are already freelancing today! In 2017 in the US the freelance market was worth more than $1,4 trillion. The growth from 2016 was whopping 40%! The total number of remote workers and freelancers is growing every minute. Currently one of the biggest freelance providers are Upwork and Fiverr. However, both of them charge big fees for being a middleman between a project owner and a freelancer. Upwork takes 20% commissions. which is a pretty big amount in the long run. Take a look at the following example that LanceChain explains on their website. This example illustrates the power of the LanceChain’s business model. It can enable even $34,560 savings for small business owners who are regularly hiring three freelancers. LanceChain Solution Seems to Be Superior to Current Ones. If you have invested in other ICOs, you probably know that companies tend to provide bonuses and more tokens for early investors. This is wonderful for early investors because they earn “free money” and it’s also good for a company because they can show that many people have already contributed. In the other words, it’s a win-win situation. Those who invest during the kick-off week get a 42% bonus, in the pre-sale you can get a 36% bonus and during the first ICO round 18% bonus. 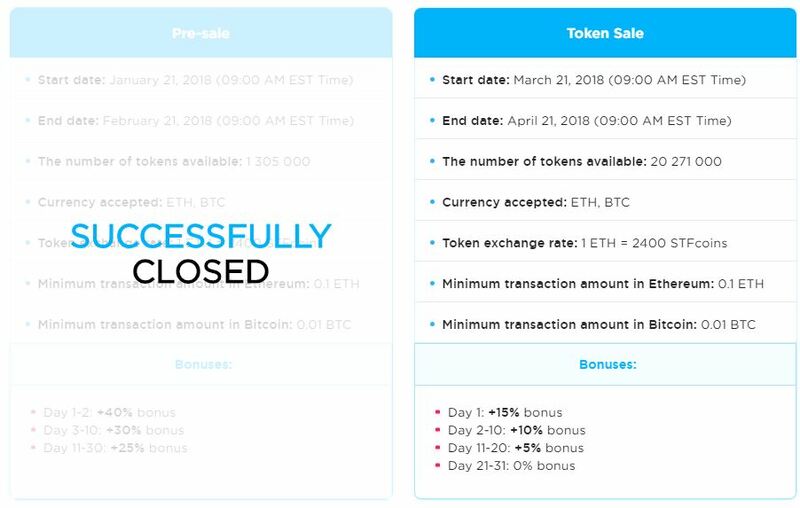 In the Round 2 of ICO, there isn’t a bonus anymore. Let’s say, for example, that you invest in LanceChain ICO during the round 1 and you get an 18% bonus. You invest for $1,000 and get $1,180 worth tokens. Then after a while, LanceChain hits exchanges with the same price that they were selling at the ICOs and you immediately have an 18% profit. Normally earning 18% profit takes 2 years in the stock market on average. That explains how great ICO bonuses can be. ICOs don’t only provide great bonuses for early investors but can also provide huge capital gains. There are several cryptocurrencies that have made even 1,000x gains since their ICO. Even though I don’t believe that the LanceChain would immediately make 1,000x gains, I believe it’ll still rise significantly from the initial price if the team just keeps on working diligently. The following chart will explain the LanceChain token allocation. LanceChain Token Allocation. 50% of the tokens are distributed during the ICO. Most of the funds will go to the software development. As you can see in the cart, 40% of the collected funds (the biggest part) goes to the software development. 50% of the tokens are sold during the ICO for the public. Only 10% is distributed to the founders, team members, and early contributors. In addition, they don’t get the tokens immediately. The team will get the tokens with a two years schedule. This means that the team is highly incentivized to raise the value of the LANC token. 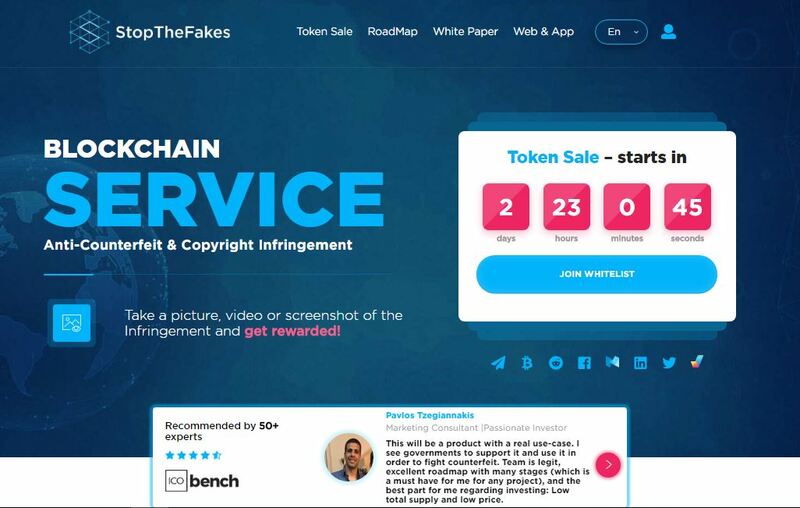 Based on the LanceChain website, their team consists of 13 people who have a strong experience in the freelancing industry and a vast technical knowledge. The Leaders of the LanceChain Are Georgi Dzhupanov, Georgi Bachev, and Konstantin Konstantiov. Most of the team members seem to be from Bulgaria. Based on my knowledge the freelancing industry is booming in Bulgaria and in the other countries of Eastern Europe (Ukraine, Romania, etc.). Therefore, the location of this team is great when we are talking about the freelance industry. 13 persons in a team is already a good number and I believe it will keep on growing when the project moves forward. LanceChain has already created a big community around the project. They have mostly put effort on building the Facebook page where they have at the moment around 28k followers when I’m writing this review. The company also regularly updates the information for their email list, Telegram channel, and Twitter page. I have joined their Telegram discussion that has at the moment, 2,430 members. As you can see in the picture below, many new members are coming to the group. When I joined a group a few days ago, there were only ~2k members and now it has grown almost 20% within a very short period of time. The awareness of LanceChain is clearly growing. 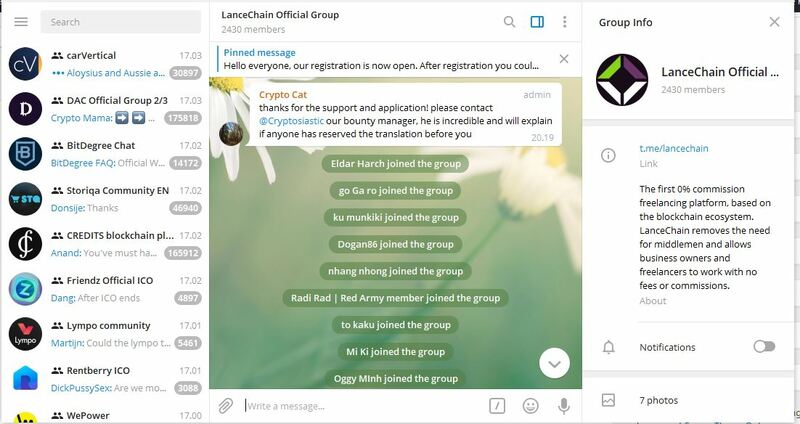 New members are all the time joining LanceChain community. LanceChain ICO is held in March 2018. The token is planned to list on exchanges in June. The LanceChain platform will happen within the fourth quarter of 2018. The mobile app will be launched at the beginning of 2019. After that, 8the development will continue even further. Q4 2018 will be certainly interesting for LanceChain token holders because the platform is launched. Usually, cryptocurrencies experience significant price changes when the product is finally launched. Conclusion – Is LanceChain a Good Investment? I have invested in the LanceChain ICO because I believe it will provide good profits for early investors. I also received the bonus because I was investing early which is another great thing. I have worked as a freelancer and I have hired freelancers. The industry is booming fast and I see that there is a great need for services like LanceChain. Their interesting model of 0% commission fees with a subscription-based membership feels great. There is a great and growing need for platforms like LanceChain. Personally, I have invested some money in the LanceChain ICO and I will follow this project with a great excitement. I believe it has a great possibility to provide big returns for early investors. In addition, I am always hiring freelancers so I would like to try their platform when it’ll be launched. That being said, I always want to remind that investing in cryptocurrencies involves risks and you can also lose money. If you prefer guaranteed ways to make money online, I recommend taking a look at my #1 recommendation. What do you think about LanceChain? How Much will the value be in the future? Is IOStoken a Good Investment? What You MUST Know! What is IOStoken? Is IOStoken a Good Investment? How Much Should I Invest in IOStoken? If you have any question about IOStoken, you have come to the right place. In this article, I will discuss all facts about IOStoken. I am sure you’ll find this article helpful and valuable. Enjoy! Short Review: IOS stands for Internet of Services. The Internet of Things (IoT) refers to a sizeable digital market made of physical appliances that have been connected to digital values like apps, data or contracts in an accessible form. The IOStoken is a blockchain with a target of enhancing scalability and high transaction throughput in a bid to improve the blockchain. IOStoken is promoting the Internet of Services, which is the future of IoT. IOStoken provided huge returns for the early investors but some people have also lost tens of thousands of dollars with this cryptocurrency. Therefore, we advise you to be careful and only invest money that you are comfortable to lose. If you prefer more guaranteed ways to make money online, go through our #1 recommendation. IOStoken homepage is futuristic and modern. IOS will be capable of supporting about 100,000 transactions for every second, which might make it overtake Ethereum and Bitcoin which are the leading implementations of the blockchain technology. The goal of IOStoken is to promote the Internet of Things market to make business and economy a lot easier by promoting secure and straightforward orders, transactions, data exchange, processing and so on. The goal of IOStoken is to build a digital ecosystem based on the internet of services. The Ethereum blockchain will host the ecosystem in some decentralized platform developed for the purpose of trading digital goods and services. This way, people will be in a position to use IOStoken (IOST) for the purchase of services that they need. The purchasing will be done based on smart contracts that run on Ethereum blockchain. By use of a particular amount of tokens that fit the price, the buyers in the community will be able to gain access to certain services within the time specified in the contract. The IOS platform will provide the users with a decentralized way of exchanging digital goods and online services, and allow developers to deploy large-scale dApps (Decentralized Applications) capable of supporting a high number of users. The IOStoken project makes use of Efficient Distributed Sharding technology in order to improve the scalability of the network. It dynamically partitions the IOS network into subspaces via a stochastic and unbiased process. Such a business model allows for a high transaction throughput. In IOStoken, the consensus mechanism is based on Proof-of-Believability approach which does not need mining. The believability of the network nodes of computed depending on their contributions as well as their previous behavior. When this aspect is combined with algorithmic randomness, the network participants shouldn’t have any issues whatsoever. The platform also features a transform feedback system, which will provide users with a way to rate the completed services. Bitcoin relies on proof of work (PoW) algorithm for verification of transactions. This algorithm involves consumption of high amounts of electricity. Blockchains such as Ethereum are working on developing and implementing the proof of stake consensus algorithm that is faster and involves less consumption of electricity. 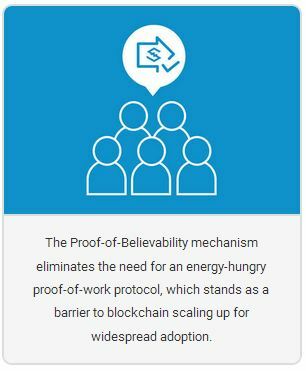 However, the proof of Believability consensus algorithm used in IOStoken takes this further in a bid to create a more intelligent blockchain. IOStoken can be seen to be an enterprise blockchain. It is geared towards supporting service-oriented goods and services that have a large customer base. Despite the many advantages associated with IOStoken, it also has a number of challenges. IOStoken is a new project whose mainnet may go live in 2019. This has made it record a low liquidity outside the Chinese exchanges. However, this is expected to change once the mainnet goes live. It is early to tell how liquid the token will be. Currently, there is no clear roadmap for the project, which makes us get worried. However, the benefits associated with the project outweigh the challenges. It has attracted investment interest from entities such as equoia, Nirvana Capital, and DFund. => Tired of Risks? Learn to Build Multiple Income Streams Online by Following Our #1 Recommendation! Most of the team members have advanced degrees from world-leading universities such as University of Wisconsin, Princeton, John Hopkins University, the University of California-Berkley, Harvard, and Cornell. The IOS foundation is also looking for partnership in the area of IoT, sharing economy and smart devices. These connections will expand the IOS node ecosystem and this blockchain will keep on proliferating. The IOStoken has established a strong community of cryptocurrency lovers. It is very active on Twitter and Telegram. However, IOStoken has a very small community on Reddit when you compare it to the other cryptocurrencies. Twitter – Its Twitter page has 221K+ followers. No information had been released about IOStoken prior to its launch. The reason is that pre-sale of the token was made private and only the elite were given chance to purchase it. Despite this, investors from China, United States, and South Korea were not allowed to purchase it. The sale of the coin was made public on 16th January 2018, during which the coin was worth $0.02. Within 8 days, the coin had shown a steady bullish trend which is an indication of the potential of the coin. The coin’s price rose to $0.096104 USD on January 25th, representing a price increase of 380% increase in one week. However, the price of the coin has gone down by a small percentage. The question is, “Is the Coin Worth Buying?” I think Yes. Every investor is keen when investing his or her money in a business that is expected to bring profits. I think IOST is a coin that can bring you profits. After observing the current trend of the coin, it is very clear that the coin has much potential. 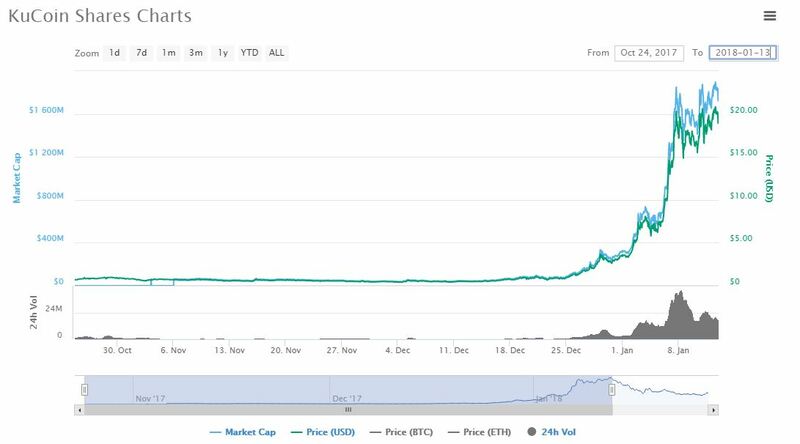 The coin recorded a 380% increase in price at a time when the prices of other coins were going down. In fact, IOST is the only coin that showed a bullish trend in January 2018, with the other cryptocurrencies showing a bearish trend after the hike in prices in December 2017. Considering that the coin has gained value during such a hard time, its value will increase further in 2018. IOStoken price jumped after the ICO but since then it has been coming down more and more along the whole crypto market. There is a total supply of 21 billion IOST with a market cap of $788,952,426. The Internet of Things technology is also gaining popularity on a daily basis. The price of IOST is not expected to fall in the short-term. IOST has a value of 0.0332 USD per token at 2018-03-04. If you afford to buy IOST for 100 dollars today, you will get 3010.876 IOST. 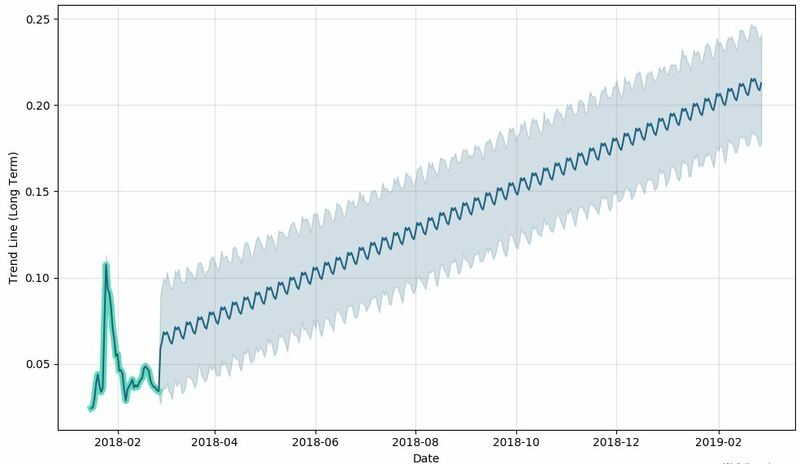 Based on my forecast, a long-term increase in the value of IOST is expected, may be up to 0.817 US Dollars by 2023-02-25. For a 5-year investment, its revenue will be around +2358.7%. Your $100 investment may become $2458.7 in 2022. Is this realistic prediction? Yes. Is this guaranteed? Not at all! Anything can happen in the cryptocurrency market and I always recommend that you learn the essential skills before putting any money into cryptocurrencies. Conclusion – Is IOStoken a Good Investment? I think So! The idea behind IOStoken is very great. The IOStoken is geared towards enhancing the internet of services, which marks the future of IoT. The IOStoken will benefit from the increasing popularity of IoT, and the value of its coin will increase. Although the price of IOST may decrease soon after the recent hike, it will gain momentum and go up again. IOStoken has also introduced a new consensus algorithm, that is, proof of believability. Most cryptocurrencies rely on the proof of work consensus algorithm in which the network participants must go through mining, during which a lot of electricity is consumed. A high computing power is also needed for mining. With the proof of believability, no mining is needed and the consumption of electricity will be reduced greatly. This is what cryptocurrency lovers have been waiting for, hence IOStoken is attracting a greater interest from all corners of the world. Don’t forget the great team behind the IOStoken project. As always, we want to wrap up the article by reminding that investing in cryptocurrencies always involves risks. You can make big money but you can also lose lots of money. If you want to learn a PROVEN way to learn money online, we advise you to check out this step-by-step training. You can also get started by clicking the picture below. What Do You Think About the Future of IOStoken? Will its Price Go Up or Down? Will you Invest in IOStoken? I Will Be Happy To Hear Your Genuine Opinion About This Cryptocurrency! Is Zclassic a Good Investment? This is My Opinion! What is Zclassic? Is Zclassic a Good Investment? What is the Best Time to Invest in Zclassic? For above and any other question about Zclassic, you have come to the right place. In this article, I will help you understand Zclassic in depth so that you may know whether it is a good investment or not. Let’s start! Short Review: Zclassic is a cryptocurrency forked from Zcash to provide a higher degree of privacy. Zcash charges a 20% on all miner rewards, which is directly sent to Zcash developer fund. This has left cryptocurrency enthusiasts with a lot of questions about Zcash. Zclassic has removed this fee and miners earn their full reward for their contribution. The value of Zclassic has recently crashed and investing it has proved to be extremely risky. If you prefer more secure and proven ways to make money online, I advise you to follow this step-by-step training. Message from the Zclassic homepage. Zclassic is a cryptocurrency that has removed the unfair mining reward cut and it is not intended for creating an artificial scarcity like Zcash. Zcash was designed and developed to solve some of the privacy issues associated with Bitcoin, but there are a number of issues associated with this cryptocurrency. Another famous privacy coin is called Monero. One of these issues is that Zcash founders take 20% of the miners’ rewards, meaning that they have a direct control over 10% of the entire monetary supply. Also, Zcash has a slow system built into it, which makes it difficult and slow to mine the first 20,000 blocks. This has also led to a potentially inflated market price. Zclassic has removed all of these features. Zclassic is a fork of Zcash, the privacy coin but with no “founder’s tax”. The founder tax was implemented as a way for the Zcash creators to make money from the Zcash transaction fees- not interesting! Zclassic is an open source cryptocurrency coin. After the introduction of Zcash, it was a bit hard for long-term investors to enter Zcash market at any time. This led to hyperinflation and the prices were artificially raised to ridiculous heights. In the first trading day, there was a limit of about 11 Zcash coins for all miners, exchanges, and investors. This led to a disaster as some individuals had to pay over 300 BTC for a single Zcash coin. Today, a single Zcash coin trades at 0.075 BTC. Zclassic has removed this uncertainty of hyperinflation by beginning at full 12.5 block rewards. In Zcalssic, there is also no need of creating artifificial scarcity as is the case with Zcash. This has led to the shaping of an appropriate economic model to create a realistic market. Investors have also gained confidence to participate in the market. Zclassic employs a number of principles in a bid to provide anonymity and privacy to its users. The user has to take his secret key then destroy it to ensure the system is secure. Just like Bitcoin, Zclassic transactions are recorded then published on the blockchain. However, no information about the sender, receive or the amount is visible at any time. This makes Zclassic one of the most secure cryptocurrencies in the world. This is achieved by use of the Snark cryptographic technique which other cryptocurrency developers have expressed a lot of interest in. Most people today are in need of financial privacy and anonymity. Since Zclassic provides its users with these, it is one of the most promising cryptocurrencies. It is expected that a total of 21 million ZCL will be brought into circulation in the next few years, which clearly shows that the Zclassic development team is following a similar issuance model as Bitcoin. So far, about 3.246 million ZCL coins have been mines, meaning that both the Zclassic development team and the miners have a lot of work to do. The coin is doing very well in the market, but its value is still lower than that of Zcash itself. => Want to Make More Money Online? Take a Look at Our #1 Recommendation! The introduction of Zclassic provided the community with an equal chance of investing in the project. Zclassic provides a decentralized coin with no company or top-investors behind it. 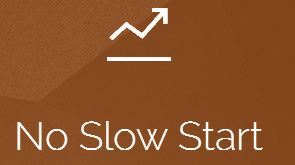 The coin has no slow start providing an equal opportunity to all investors. However, despite the benefits associated with the project, it faces a number of risks just like any other project. There is news that Zclassic will be rebranding itself to Bitcoin private (BTCP). However, a lot is expected to be done other than simply changing the name. The underlying Zclassic protocol will have to be changed, meaning that Zclassic will go through a hard fork. However, the Zclassic tea had not foreseen the problems associated with this. One of these problems is about the cryptopia exchange since they are suffering from withdrawal issues of Zclassic. Cryptopia is normally viewed as the last resort exchange in which coin developers can have their coins listed. This is why the Zclassic community wanted the issue sorted out. Based on some sources: Currently, there is no development team working on Zclassic since the old team is focusing on BTCP. No team or developer has come forward to state that they are planning to keep Zclassic up to date. Before BTCP was announced, the price of the ZCL coin was $2 or even less. It is believed that the price went up simply because people wanted to get BTCP and they had to buy ZCL in order to get the BTCP. This means that there are high that individuals who invested in ZCL only wanted the BTCP rather than ZCL. There is a risk in that the price of ZCL may only rise if the individuals announce another fork such as BTCP. Zclassic has a team of active participants coding the source code behind Zclassic. However, the team has no marketing or sales staff which could have played a great role in spearheading the growth of the coin. Zclassic does not publish social profiles or bios of their team members, and this makes it harder to know the individuals behind the project. Zclassic does not also update their blog on a regular basis, which has made it hard to tell their progress on the project. You can find Zclassic on the following social media platforms. The discussion on Zclassic’s Telegram group is very active. In 2017, Zclassic attracted an average price of $1.7. By the end of 2017, when Bitcoin had surged up to $20,000, ZCL had reached as high as $93. By 7th January 2018, ZCL had reached $248 with a market cap of over $400 million. Thereafter, the price fluctuated to touch a low of $61 on February 6th when the rest of coins had plunged in price. The coin has since then regained its strength. Currently, the coin is trading at about $173 with a market cap of about $375 million when we started writing this article. The price of Zclassic was less than $10 for a long time. Then it suddenly jumped to more than $200 in a short period of time. Then it came back again to less than $10. Was there a pump & dump? It is a bit hard to predict whether Zclassic is headed to the moon or whether it is about to crash even more. It has recently gone all the way from +$200 to less than $10 so we can safely say that Zclassic has a huge volatility and something strange is happening with this cryptocurrency. Conclusion – Is Zclassic a Good Investment? I don’t think so! Given the market volatility of this coin, it is not safe to invest in it. I will urge you not to buy or trade Zclassic as an investment but purely speculation. However, it is possible for you to profit from an increase in the price of ZCL, and shorting the coin may make you profit from a market crash. However, there is so much uncertainty in the market, and you can only make an educated guess about the direction of the price or the market mood. If you are not aware of the fundamentals, then you will almost be gambling. We advise you to learn more about making money with cryptocurrencies here so you will avoid big losses. If you want to maximize your online revenue (with or without) cryptocurrencies, we advise you to take a look at this step-by-step training. It has taken the founder of this website (Roope Kiuttu) from a complete newbie into a full-time online entrepreneur. What are your thoughts on ZClassic? Have you Invested in ZClassic?